Ion channelopathies are diseases caused by dysfunctional ion channels that may lead to sudden death. These diseases can be either acquired or inherited. The main phenotypes of Brugada syndrome in patients carrying these heritable arrhythmia syndromes are congenital long QT syndrome, Brugada syndrome, catecholaminergic polymorphic ventricular tachycardia, and short QT syndrome. In the recent years, tremendous progress has been made in the diagnosis, etiopathogenesis, and treatment of these diseases. Brugada syndrome is a dynamic disease, influenced by ethnicity, gender, genotype, autonomic tone, regionally abnormal myocardium, and varied physiologic and pharmacologic stimuli. Initially attributed to loss of sodium channel function, Brugada syndrome has also been attributed to loss of calcium channel function. Thus, the disease is not only a sodium channelopathy, but rather related to an imbalance between inward and outward currents during phase 1 of the action potential. The hallmark electrocardiogram (ECG) feature is a type-1 pattern of a coved ST-segment elevation ≥2 mm followed by a negative T-wave, present in greater than 1 right precordial lead (V1-V3), occurring either spontaneously or provoked with a sodium channel antagonist. However, Brugada syndrome patients are only 25% likely to present a type 1 ECG. Patients may show also type 2 or type 3 ECG, but may also show normal ECG. Spatiotemporal characteristics of surface ECG recordings enable a robust identification of Brugada syndrome even without the presence of a type 1 ECG. Despite this, the diagnosis of Brugada syndrome based on the ECG is hampered by the dynamic nature of its ECG manifestations. Programmed ventricular stimulation (PVS) – or programmed electrical stimulation (PES) – has been reported to be a useful tool for risk stratification, and to identify those at higher risk of sudden death. However, this recommendation is controversial. In fact, PVS-induced arrhythmias are associated with future ventricular arrhythmia risk. Induction with fewer extrastimuli is associated with higher risk. Clinical risk factors are important determinants of arrhythmia risk, and lack of induction does not necessarily portend low ventricular arrhythmia risk particularly in patients with high-risk clinical features. Clinical presentation of Brugada syndrome in female is less severe than in men, with more asymptomatic carriers and less spontaneous type 1 ECG. The prognosis is more favourable, with an event rate of 0.7% year. 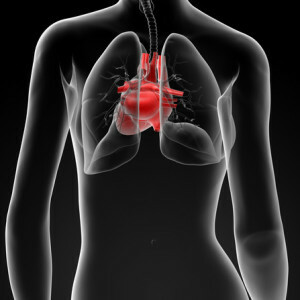 However, women with sudden cardiac death (SCD) or previous sinus node dysfunction are at higher risk of arrhythmic events. Specialized inherited arrhythmia clinics were founded to optimize management and prevention of SCD in the population. In general, longitudinal care in a specialized inherited arrhythmia clinic is associated with a low incidence of SCD and a low rate of primary implantable cardioverter-defibrillator utilization in patients with inherited arrhythmia syndromes. Heredity of Brugada syndrome is autosomal dominant. Pathogenic mutations have been thus far identified in the following genes: CACNA1C, CACNB2, GPD1L, HCN4, KCNE3, SCN1B, SCN3B, and SCN5A. Despite earlier reports, mutations in the SCN10A gene have been excluded to have a primary role in the etiopathogenesis of arrhythmic phenotypes. The CC genotype of the common single-nucleotide polymorphism rs9388451, localised downstream from the HEY2 gene, has been found to possibly be a favorable prognostic marker for Brugada syndrome, acting protectively to prevent ventricular fibrillation, presumably by regulating the repolarization current. The clinical interpretation of variants identified in these genes can be particularly difficult, also because of the frequent occurrence of private mutations (mutations found in one family). Among laboratories experienced in genetic testing for cardiac arrhythmias, there can be frequently low concordance in designating variant significance. In unselected population, it may happen that putative pathogenic genetic variants are not associated with an abnormal phenotype. Therefore, these findings raise questions about the implications of notifying incidental genetic findings to patients, especially when these undergo the “whole approach” testing (whole exome sequencing, whole genome sequencing). Posted in Academia, Disease cards, Last Update, Medical Genetics and tagged Brugada syndrome, CACNA1C, CACNB2, Catecholaminergic polymorphic ventricular tachycardia, GPD1L, HCN4, KCNE3, long QT syndrome, SCN1B, SCN3B, SCN5A, short QT syndrome, sudden cardiac death.